Erika Marie Torres Rivera Killed, Kevin Lequerique Cabanin and Keishym Colon Injured, in Hall County Car Accident Involving Alleged Underage Intoxicated Driver; Justice Available for Family? 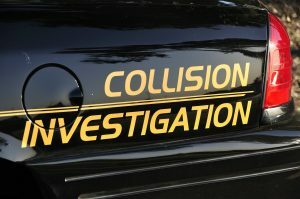 A motor vehicle accident involving a single car tragically claimed the life of a young woman and injured multiple others early Sunday morning, March 31, 2019. Other charges are pending according to the media reports. As the details of this tragedy continue to develop, any injured occupants may elect to seek justice and file a civil claim for their injuries. In addition, the family of Erika Marie Torres Rivera may elect to seek justice and file a claim for their loss. Based upon its extensive experience and success handling these types of motor vehicle claims in Georgia, The Murray Law Firm suggests that the family of Erika Marie Torres Rivera and any other injured victims should retain an experienced personal injury firm to protect their interests and ensure an unbiased investigation. Photographs of the roadways and vehicles involved and a review of surveillance footage from nearby businesses or properties, if any exists, will need to be performed immediately before any evidence is damaged or destroyed.